Why are we cutting down our trees to make cardboard boxes that are used once, maybe twice, to just throw them away in a landfill? It doesn’t make any sense, when over 20 percent of the American population packs and moves each year- generating massive quantities of waste that ultimately ends up in a landfill. New or used cardboard boxes are expensive, inefficient, wasteful and really bad for our planet. It’s a huge problem and up until now Michigan residents didn’t have an alternative option. 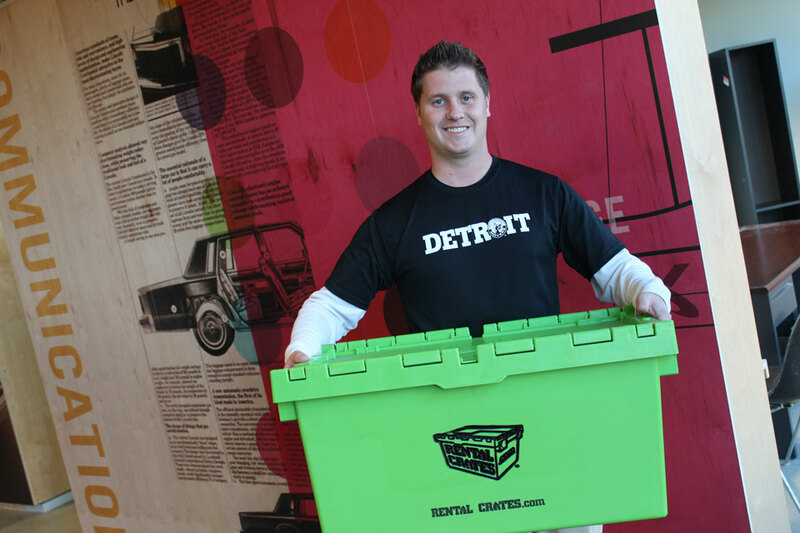 The more you learn about Professional Movers.com Rental Crate Move System, the more you’ll see that we have a solution that’s a win for you, a win for the environment and a win for the Michigan economy. Our new system for packing and moving will teach you to rethink how to relocate. The Professional Movers.com Rental Crate Move System is remarkably simple. We provide you with reusable plastic crates that will make packing and moving easier, faster, less expensive, and better for our planet. Step 1: Call Professional Movers.com at 248-926-9999 and talk to one of our Certified Moving Consultants. Our Certified Moving Consultant will schedule an appointment to visit your home and provide you with an accurate recommendation of how many rental crates you will need to pack and move your contents. No more confusion and wasted money trying to figure out how many boxes you really need, instead we will provide you with the correct number of crates that you will need. Step 2: Professional Movers.com will deliver your reusable rental crates one week before you move. 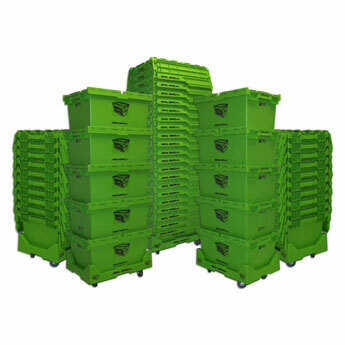 Your reusable rental crates will be delivered to your garage in stacks of 10. If you live in a high rise, condo, or location without a garage, your reusable rental crates will be delivered inside your front door. We will provide you with labels, packing instructions and tips on how to pack efficiently. It’s simple and since you will not need to build your boxes or use any tape, you will be ready to begin packing as soon as the crates arrive. Just place your items into the reusable rental crate, close the lid, label, and lift to one side. Repeat this step until you have a stack of 4 or 5 packed crates. Pack as many stacks of 4 or 5 crates until you’re done. Simple pack, stack and move. Step 3: On the day of your move, make sure that all of the rental crates arrive at your new location. If you have hired Professional Movers.com to provide moving services, we will place your crates in the correct room for unpacking. If you are moving yourself or having your friends and family help, please rent one of our dollies, so you can transport stacks of 4 or 5 more efficiently into the truck and into your new unit. When you’re unpacking, just restack them into units of 10 and place them in your garage or a location that is out of the way. Please do not place them outside in plain sight due to rain, dirt and potential theft issues. Step 4: Professional Movers.com will pick-up your reusable rental crates two weeks (14 days) after your delivery date. Since we provide rental crates on a weekly basis, it’s important to have the rental crates completely unpacked and restacked, and ready for removal when we arrive. It’s also important to have all of the rental crates and any other rental equipment ready for pickup at the same time. We count your order three times when we deliver them and we count them three times when we pick them up. It’s very common, almost to common, to have a friend “borrow” just one because they are so cool. We know they’re cool, but lost or missing rental crates cost $50 to make, and we charge for borrowed, lost or missing rental crates. If we pickup up a partial order and have to come back for the rest our re-pickup fees range from $39 to $99, so it’s best to have everything ready on the day of our pickup. Why Use Professional Movers.com Rental Crate Move System? *Pricing includes 2 full weeks delivered to your place, and pick-up 14 days later at your new place. Need an Extra Week? No Problem. Need an extra week due to unforeseen moving issues, don’t stress out, just add another week for the above low rates. Packing materials will be delivered when we deliver your crates. Any unopened materials that were not used may be returned and your account will be credited. How much does the Rental Crate Move System cost? How big are the rental crates? Are rental crates delivered and picked up? How many rental crates will I need for my move? Can I purchase crates from Professional Movers, Inc.? Am I responsible for lost or damaged rental crates? Are deposits required for the rental crates? Will you contact me for rental crate pick-ups? How should I prepare the rental crates for pick-up? Do you service commercial businesses and small companies? How quick can I get rental crates delivered to my place? Is your service really cheaper than buying new or used cardboard boxes? What if we have a minor delay in our moving schedule? Are you franchising Professional Movers, Inc.? Do I (or one of my friends) have to be at my place to receive my order? What if I need more rental crates after you deliver my order? What’s the best way to contact the company if I have a change in plans? How much space do I need in my garage or place for the rental crates? Is there a cancellation fee if decide that I don’t need the service? What if I need more packing materials on the day of my move? Do I (or a friend) have to be home when you pickup the rental crates? What if I forgot to be at my place for the pickup? I ran out of room in the new place, can I leave the rental crates outside? Should I throw out all of the used packing materials? I bought too much packing materials. Can I return these for a credit back? Can I let my friend borrow the rental crates after my move? Rental crate charges are based on the quantity of crates rented and the number of weeks that you would like to rent them. Minimum rental period is one week. Minimum order quantity is 25 crates. For exact pricing, see the chart price chart above. We’re confident that you’ll find using the Rental Crate Moving System will make your packing and moving the fastest and easiest that you’ve ever experienced. If not, just call our office after you’ve returned the rental crates we’ll refund the first week’s rental charges. Any additional charges for pickup or delivery fees, lost or damage equipment charges or any rental charges after the first week are not subject to refund. Account must be current and all fees for all services and material paid for refund to be issued. Rental crates are 27.2″ long x 16.6″ wide at the top and taper down to 24.5″ long x 14.7″ wide at the bottom. They are 12.5″ high and have a capacity of 2.5 cubic feet. Yes, we will deliver rental crates to you and pick them up when you are done unpacking. Rates for delivery and pick-up are included in your rental pricing. If you would like to pick up or return rental crates to our warehouse, you can do that too. You just have to contact our office and schedule an appointment to make sure the warehouse is open. For homes, usually figure 10 crates per room. These guidelines, however, can vary greatly depending on the amount of goods in each room. For offices, a standard office cubicle usually requires 4 crates. Larger private offices may need 8-10 crates. A rule of thumb is 1 crate per drawer and 1 crate per work surface. For free we will visit your home or office and provide you with an accurate consultation of how many crate we would recommend. Yes, you can purchase rental crates and rental skates for $55.00 per crate and $55.00 per rental skate. Yes, if during your move any rental crates, rental skates, or dollies are lost or damaged, you are responsible to pay the purchase price for the equipment, as well as the rental fees. All rental crates and dollies are inspected prior to delivery to ensure that the equipment is damage free and in good working order. Deposits are required if you are not paying by credit card or for commercial orders if billing arrangements have not been made. However, any equipment that is lost or damaged will be charged automatically based on the rental agreement. Yes, prior to the original term period ending, we will contact you to schedule a pick-up. If you are not ready for a pick-up, we will schedule a new pick-up date and advise you of the additional costs. Remove all debris from inside the rental crates and place them, nested in stacks of 10. Rental crates must all be staged in the garage. If your new location does not have a garage, please have your crates placed somewhere inside your home close to the front doorway. For offices, we ask that the rental crates be placed in one common are close to the entrance or loading dock. Yes, we are a moving company. In fact, we are Michigan’s best moving company. We are the leaders in innovation and customer service. We have re-invented the way packing and moving is done. We’re experts on saving you money and making your move organized and stress free. We deliver our rental crates direct to your door. We rent them on a weekly basis. You pack, stack and move. When they’re empty, just call us and we’ll pick them up. With our crates, our trucks, and our movers, you’ll save a lot of time and money while helping the environment. Give us a call at 248-926-9999 and ask to speak to one of our Certified Moving Consultants. 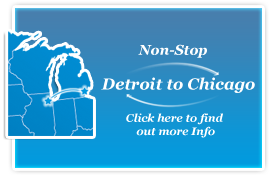 We’re currently servicing all of Oakland, Wayne, Macomb, Livingston, St. Clair, and Washtenaw County. If we’re not in your area, please leave us a quick note and let us know where you’re from. We’re expanding statewide and nationwide, so if you know of someone that is looking to be a part of changing the way America packs and moves, please check out our national expansion section! Yes! The commercial and office moving is a majority of our business. We service many different industries throughout the Detroit market ranging from small 1 man offices to large multinational corporations and major state funded moves… you name it…we’ve been involved with making an organizations move cost less. We’ve rented our crates to local movie sets, libraries, major retail stores, hotels, casinos, law firms, manufacturing plants, and hospitals. We strongly recommend placing your order at least 1 weeks before you want to start packing. We will deliver them the day before or on the day that you want to start packing (usually this is a few days before your move day). If you just found out about our service, and your in a rush, last minute, need our help, please send us an e-mail or give us a call and we will do our best to accommodate you. Is your service really cheaper than buying new cardboard boxes? You will need less boxes– you can pack more in our crates as they are larger and more durable than a cardboard box. You will make the most of your valuable time – Most people never factor in their research time, time to drive to the store, stand in a checkout line, load the stuff into their car, drive back home, unload, start building boxes.. …And at this point you still haven’t pack one item. Instead, our crates are delivered to your door preassembled and ready for you to begin packing. No need to make costly impulse decisions. let’s say if you cruise the internet- most people will see new and used cardboard boxes based on impulse buying and by the time the get the stuff delivered- they realize that they need more new or used cardboard boxes- they now have ran out of time and end up either dumpster diving or buying last minute, paying ridiculous prices… and when they look at all of the money that they have spent to pack and move, it will be twice as much compared to renting our moving crates. Create less work and worry for yourself – Cardboard boxes required you to use tape. Plus, cardboard boxes don’t have handles. And if you don’t pack your cardboard boxes just right, they will crush when stacked during transport. Finally, after your move, you will have to breakdown your empty cardboard boxes any carry them to the dumpster, or load them into your car and drive to a recycle center. First off- don’t worry as this happens all of the time. If you planned on receiving our crates and your move is delayed a few days, we’ll just adjust our delivery date to meet your new schedule. And again, don’t worry this happens all of the time and it’s really no problem to rebook your delivery date and time. If you arrive at your new place and have a delay in unpacking, just let us know when you’ll be ready for a pickup and we’ll update your invoice based on the weekly rental rate of your invoice. We have found that it’s cheaper to have the entire rental crates ready, at one time for pickup, instead of paying for additional partial pickups. Are you franchising Professional Movers.com? Absolutely! We have a conservative and stable growth strategy. We are always looking for qualified partners, especially in the Michigan market. Please take a few minutes to review our statewide and national expansion section on this website and see if you’re the right fit to change the way packing and moving is done. Yes, we do need someone at your place to receive and accept the order. We count the rental crates three times before arriving and delivering them to your place. We will count them one more time with you, when delivered. After we have counted them with you, we will have you or your friend sign the rental contract for the delivery. The same goes when we pick them up. We will count them on your property with either you or your friend. We will then recount them before we load them on our truck. If there’s any missing rental crates from your order, we allow the time that it takes for us to load your order onto the truck. If you’re not able to find the missing rental crates, we will have you sign the missing report contract and then we will bill your credit card the next business day. If you get lucky and find the missing rental crates after we leave, just call us and we’ll come back and pick it back up. We will credit back your card, minus the $50.00 re-pickup fee. What if I need more crates after you deliver my order? Our main goal is to make sure that you have enough rental crates to pack and move efficiently, when we leave your place. If you need more, we do have to charge an additional delivery fee, as it’s a second order. So, it’s better to be safe than sorry and have to pay the extra delivery fee to have more rental crates delivered. It’s very common to have a few extra rental crates that are not being used while moving. What’s the best way to contact the Professional Movers.com if I have a change in plans or a last minute delay in my move? The best way to reach us is to contact us directly at 248-926-9999. If you need to reschedule the delivery date, please let us know as soon as possible. How much space do I need in my garage or place for the crates? It depends on your order, but if you can clear out a 4 foot by 10 foot area in your garage or place for the rental crates, that would be ideal. Please have this space cleared and ready before we arrive. If we have to help clear a space to deliver them into the requested location, we do have to charge a minor labor fee to cover the cost of our time, labor and delay in schedule. Most orders can easily fit next to the side of a car in a standard garage. Please note that we have several deliveries each day on each truck, so we want to make sure that everyone gets their order on time. We appreciate you being ready for us when we arrive! If you place an order and let us know at least 5 days in advance, we only charge the credit card processing fees to credit back to your account. This is usually about 2.5% of the pre taxed sales amount. So if your order is $200.00- we would charge back to you $5.00 to cancel your order. Three days before costs $59.00 and the day before or same day cancellation is half the cost of the order. We have this fee due to all of the internal labor costs and logistical costs that we spend to prep and load your order for delivery. We will be more than happy to redeliver materials to your address based our delivery route and delivery schedule. We do charge a minor redelivery fee to bring over more packing and moving materials. Do I ( or a friend ) have to be home when you pickup the rental crates? Yes, we do need someone to be home when we pickup the rental crates. The main reason is that if you leave them outside for us to pick them up and someone decides to borrow a few of your rental crates without your knowledge, you have to pay for the missing rental crates. It’s best to have them in a safe and secure location, preferably your garage. We will count the rental crates one time on your property and then one time before we load them onto our truck. If you’re missing any rental crates, we will give you the time it takes for us to load your order back on the truck to return the missing rental crate. If you have any lost, missing, or damaged crates we will have you fill out our missing/damage report and sign it. We will charge your credit card the next business day or we will accept a check on the spot before we leave. If at a later date, you locate the missing crates, we will pickup back up and will credit your account, minus our pickup fee. We understand when timing does not work out right after a move, you’ve had a lot going on and we understand. If we have an e-mail with permission to retrieve the rental crates, we will pick them up them from your place. We will also count them immediately and we will call you with a total count. If the count is accurate, then we’re good to go, if you’re missing any rental crates, we will charge your credit card on file for the missing rental crates. If you find them at a later date, we will credit back the cost minus the pickup fees. If we cannot get the rental crates, we will reschedule and will bill you a $50.00 re-pickup fee. I ran out of room in the new place, can I leave the rental crate outside after I have unpacked? We recommend that you keep them inside of your garage or inside to prevent any outside elements like rain, dirt, dust, over spray from paint, construction debris or even theft from occurring to the rental crate. If they are left outside and they require a deep cleaning due to being left outside, we will charge you a $3.00 deep cleaning fee per rental crate. we take great pride in our product and want to make sure that each rental crate is in tip top shape all of the time and we appreciate your efforts and consideration! Please place all used packing materials inside one of the supplied rental crates when you’re unpacking. Our rental crates hold a lot of material and it’s part of the service to take this back and either reuse it or recycle it. We will only accept for return credit unused packing paper that is unopened and unused. If you have the other materials in one of the rental crates, we will gladly take this back and we will recycle it into more packing materials. It’s all about eliminating waste and offering you a cheaper alternative to cardboard boxes. If you are renting them, the rental crates are your responsibility. If your friend looses, damages or we have to deep clean them, then you’re the name on the contract and you’ll need to pay any of the additional charges incurred. But, if your friend borrows them without any issues, then what don’t know won’t hurt us.